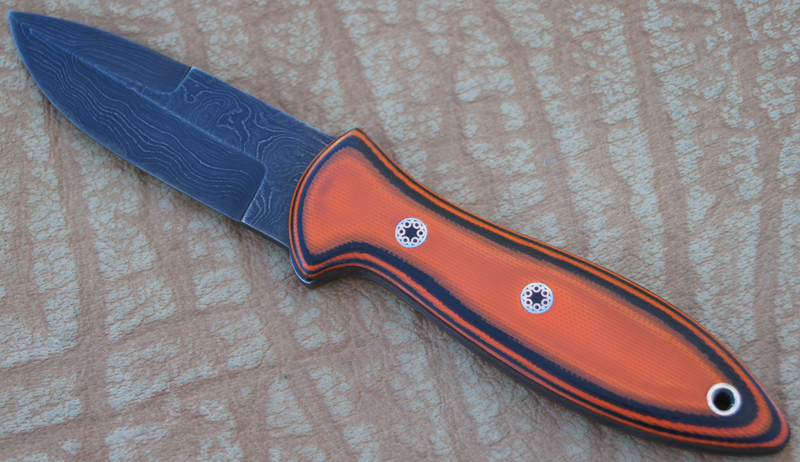 This gallery shows a few styles of concealable boot knives. Handle material and blade steel options are limited to imagination. Contact Rocket Knives to inquire about custom boot knives made to order. Here are few of the more popular styles. The boot knife shown above is slightly atypical. More like a Turkish dagger. This knife has a 4" blade made from 5/32" thick 440c stainless steel. The bolsters are from 416 stainless steel. 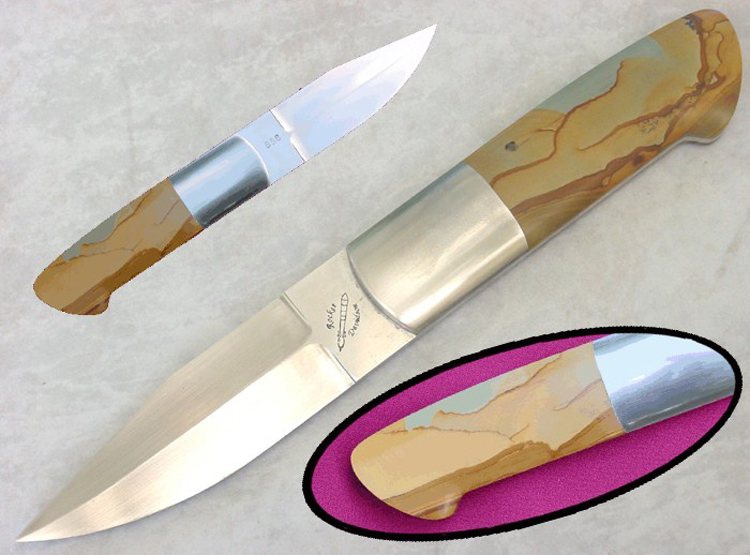 Handle is a composite of gold-lip mother-of-pearl and red abalone. Price for a similar piece is USD$500. leather sheath mounted with a boot clip. Below shows a concealable boot/chute knife. With a 4" blade made from damascus steel. lined lanyard hole and mosaic handle pins. Price for this 3" boot/chute is USD$300. different steel types and handle materials. Below shows a popular design in the boot knife family. This is a Loveless design boot knife. It has a 4" blade made from 1/8" thick 440c stainless steel. The bolsters are 416 stainless steel. The handle is picture jasper. 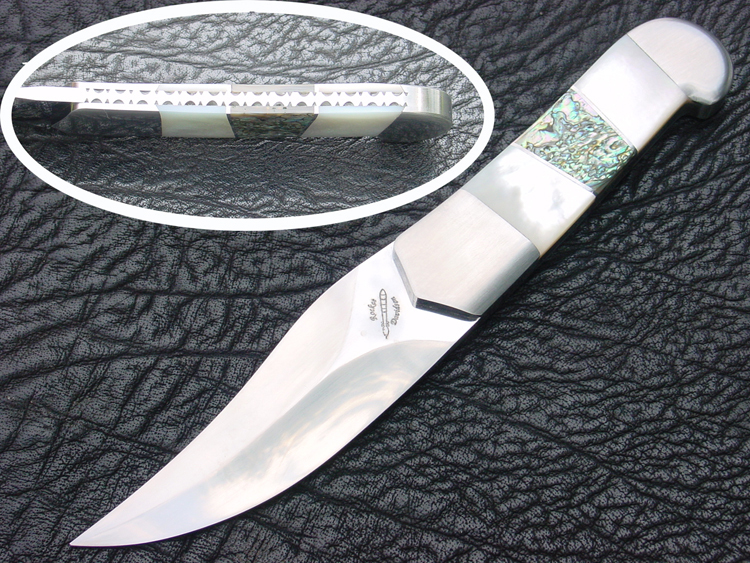 Price for this Loveless design boot knife is USD$400.